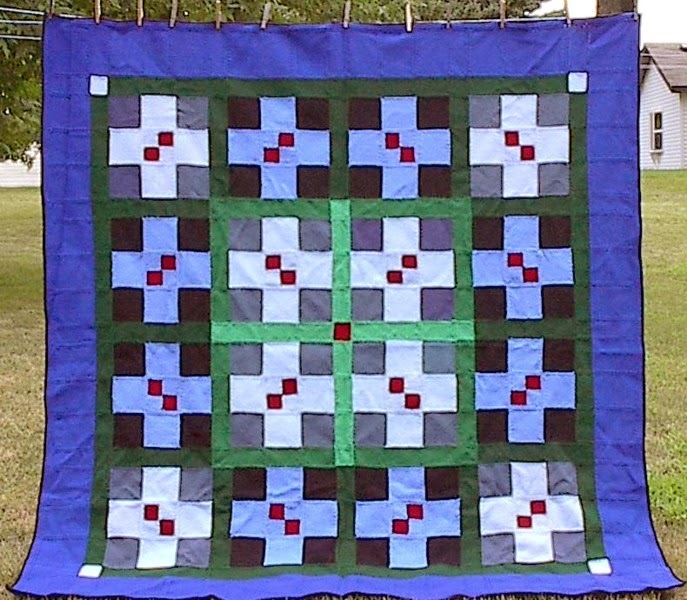 This blanket was intended as a tribute to a classic Amish quilt with a special note of thanks to the U.S. Post Office. 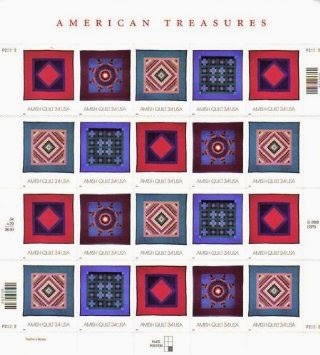 In 2001 the U.S. Post office issued this series of stamps commemorating the Amish quilt. 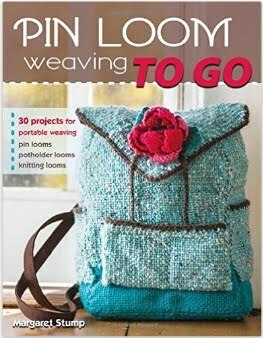 I thought that they were all incredible but was particularly drawn to the quilt that reflects a very "pin loom" flavor. Over the next nine months or so I wove and constructed my Postage Stamp Blanket. As with the Amish Bars blanket, they are not lined or quilted, the weigh of the woven fabric is quite warm enough without extra layers. This blanket is close to six foot square. Here is the beginning of those middle squares, made with one 4"x 4" square and topped with two light blue squares, whip stitched in place. 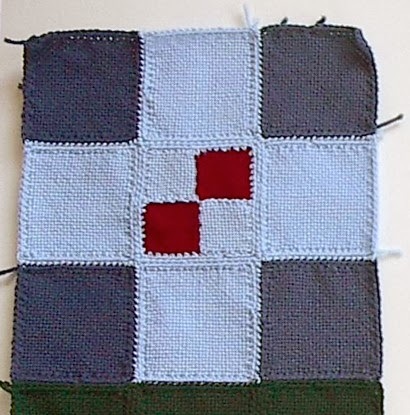 The blanket was made with 2" x 2" squares, 2" x 4" squares, 4" x 4" squares, 2" x 6" squares, 4" x 6" squares, and 6" x 6" squares. 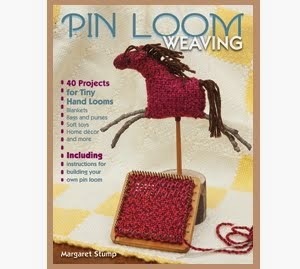 Most of those looms were Weavette Looms, which came out with all six sizes. It uses three shades of green for the 2" line around the 9 square design, 3 shades blue plus a slate blue and a very dark navy blue. Plus the red. All of the woven pieces in the blanket were finished with a single crochet edge in the same color, then whip stitched to join. 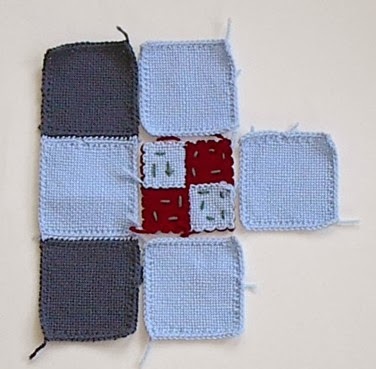 You might notice that the small squares above do not have a crochet edge, that was so that they would sit within the dimensions of the 4" x 4" square. Below the middle panel is finished, I'm working on the panels to the right and left. 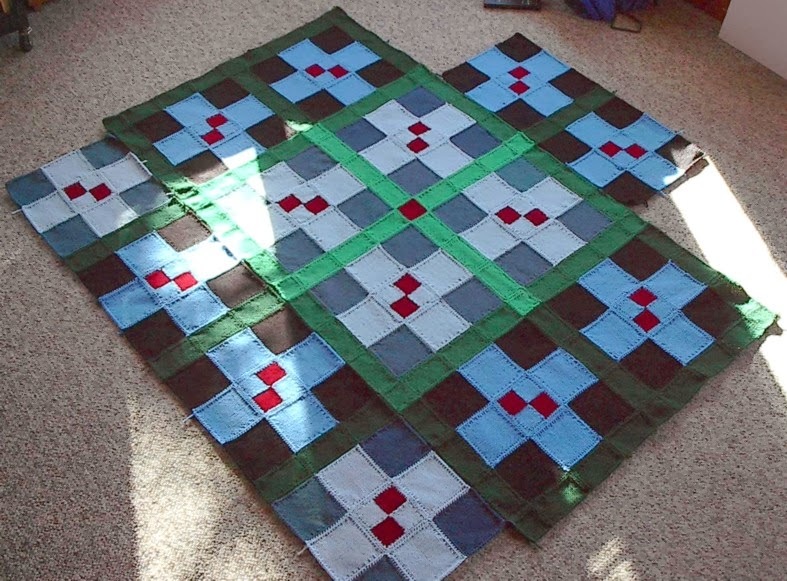 When a blanket gets this big it is amazing how many rectangles are needed for the border! A just-finished blanket. The edging is a line of half double crochet in navy. This is a later pattern for the blanket with a few proposed color variations. 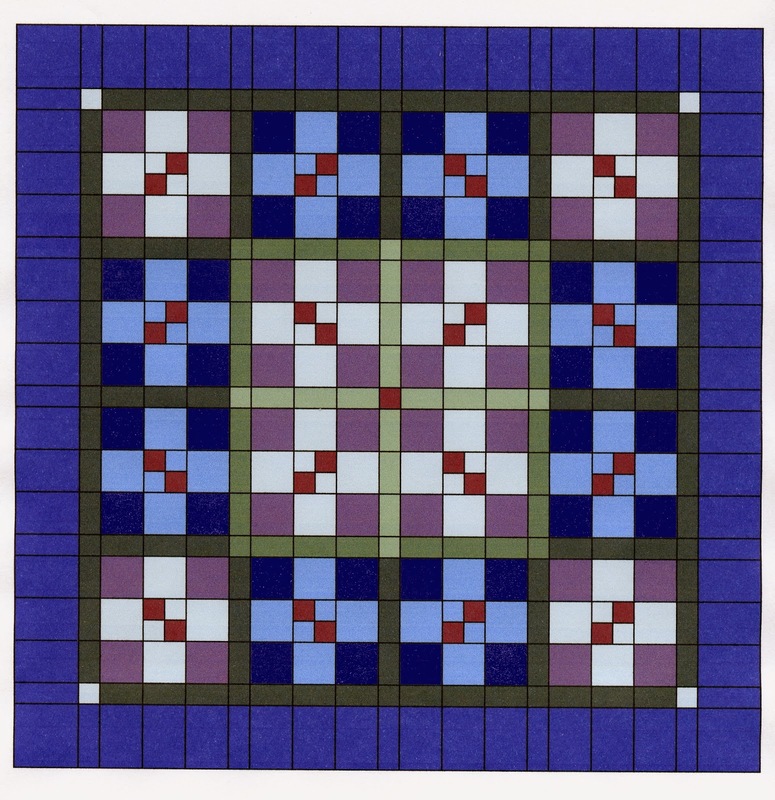 This Amish pattern lends itself to a number of colorways.